– Interview by Dr. Kvitko on “The Reasons We Smile,” with Dr. Kvitko,” WSNY-FM 94.7, Columbus, OH, 7:30 a.m., Dec. 10, 2017. Click here. – Interview by Avy Meyers on “North Town News Magazine,” CAN-TV 19, Chicago, IL;, AT&T U-verse Systems Channel 99; Evanston, IL, Cable Channel 6; and Suburban Chicago Area Channels 19 and 35, Dec. 19-22, 2014. – Interview by Dr. Kvitko on “Dentally Speaking with Dr. Kvitko,” WSNY-FM 94.7, Columbus, OH, Oct. 26, 2014. To link to podcast, click here. – Interview on “In the News” on Global Talk Radio, Dec. 12, 2012. – Interview by Dr. Kvitko on “Dentally Speaking with Dr. Kvitko,” WSNY-FM 94.7, Columbus, OH, 7 a.m., March 18, 2012. – Interview by Dr. Kvitko on “Dentally Speaking with Dr. Kvitko,” WSNY-FM 94.7, Columbus, OH, 7 a.m., August 22, 2010. To link to podcast, click here. – Interview by Lillian Cauldwell on Passionate Internet Talk Radio Inc., 7:30 a.m., June 30, 2010. For information on downloading the interview, e-mail Lillian.cauldwell@gmail.com. – Interview by Paul Lisnek on WVON-AM Radio 1690, Chicago, 6 a.m. and 9 p.m., April 19, 2010. – Author Spotlight: Charlene Wexler, Northwest Herald, March 26, 2017. Click Here. – Retraining the Elephants in the Room, Healio, the Journal of Continuing Education in Nursing, Dec. 2016. Click Here. – Elephants In The Room was chosen for the November 2016 Jewish Book Month by JUF News Magazine, November 2016. Click Here. – Elephants In The Room earns Apex Award, ExpertClick.com, July 6, 2016. Click here. – Around the Neighborhood, Gazette Chicago, p. 26, July 1, 2016. Click here. – Author Charlene Wexler’s short story ‘The Family Building’ published, ExpertClick.com, June 12, 2016. Click here. – Meet Author Charlene Wexler at Printers Row Lit Fest June 11 and 12, ExpertClick.com, May 9, 2016. Click here. – Capricorn Authors-Foreword Showcases Book’s and Author’s Capricorn Traits, www.annenordhausbike.com, Jan. 2016. Click Here. – Astrologer Writes Foreword For Capricorn Author’s Book ‘Elephants In The Room,’ PrLog.com, April 27, 2016. Click here. – Meet Author Charlene Wexler at Inaugural Lake County Authorfest, July 30, 2016, ExpertClick.com, April 24, 2016. Click here. – Book Elephants In The Room published, ExpertClick.com, Jan. 24, 2016. Click here. – Interview about Lori, Northwest Herald, Jan. 3, 2016. Click here. – Review of Murder Across the Ocean, Just Reviews, Aug. 3, 2015. Click here. – Richmond author Charlene Wexler wins Apex award for ‘Murder Across the Ocean,’ Northwest Herald, June 19, 2015. Click here. – Author Charlene Wexler Earns Apex Award, PRLog, June 9, 2015. Click here. – Reader of the Week: Charlene Wexler, Chicago Tribune, May 21, 2015. Click here. – Retired author says it’s never too late to start writing, Northbrook Star, May 15, 2015. Click here. – Charlene Wexler interviewed in Mystery Writers of America Midwest Chapter Clues, March 22, 2015. 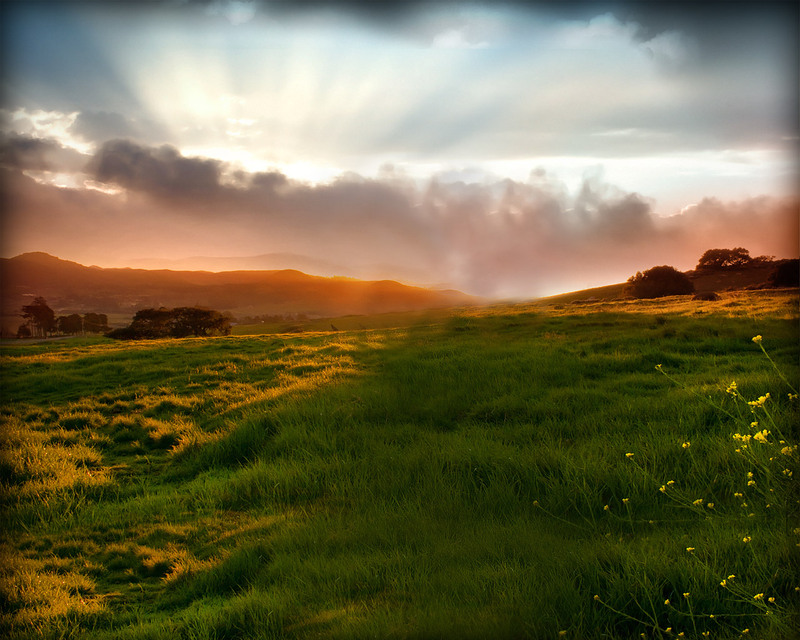 – Charlene Wexler discusses life’s roles, Marilyn’s Musings, Feb. 19, 2015. Click here. – Guest Post by Charlene Wexler about Murder Across the Ocean and Lori, b00k reviews, Dec. 6, 2014, Click here. – Two new novels tell Jewish Women’s Tales, JUF News, Nov. 2014. Click here. – Lori and Charlene Wexler made the featured author book list on Emercecontent.com, Nov. 13, 2014. 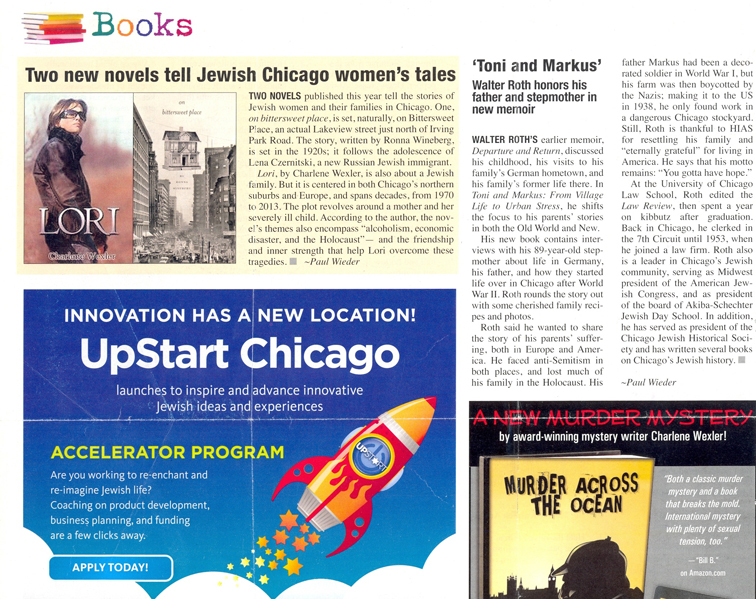 – Two new novels tell Jewish Chicago Women’s Tales, JUF News, Oct. 30, 2014. Click here. – Author Charlene Wexler’s Essay ‘People Watching’ Published, PRLog, Oct. 11, 2014. Click here. – Author Charlene Wexler Publishes Two New Novels, Jewish Chicago, General Election 2014/5775. – Charlene Wexler Publishes Two New Novels, Lori and Murder Across the Ocean, PR Log, Aug. 7, 2014. Click here. – Charlene Wexler Publishes Three Short Stories, Three Poems, PR Log, July 14, 2014. Click here. – Charlene Wexler’s Short Story ‘Into the Woods’ Published, PR Log, February 10, 2014. Click here. – “Ode to Tyrone” Published by Award-Winning Author Charlene Wexler, PR Log, March 10, 2013. Please click here. – A Moment With Charlene Wexler, Before It’s News and The Dan O’Brien Project, Feb. 24, 2013. Click here. – Author Charlene Wexler’s Short Story ‘The Autograph Book’ published, ExpertClick.com, Jan. 19, 2013. Please click here. – E-Book ‘Milk and Oranges’ Released by Dailey Swan Publishing, PR Log, Nov. 22, 2012. Please click here. – Dental books you won’t want to put down, Dental Products Report, July 2, 2012. Click here. – Author Charlene Wexler Wins eLit Book Award, PR Log, May 5, 2012. Please click here. – Milk and Oranges, Gazette, Jan. 6, 2012. Please click here. – E-Book ‘Milk and Oranges’ Offers Entertaining Views of Life, PR Log, Dec. 11, 2011. Please click here. – Dental books you won’t want to put down: A life surrounded by dentistry and antique collecting has inspired Charlene Wexler’s two books, Dental Products Report, July 2012. Please click here. – Author Charlene Wexler Earns Apex Award, ExpertClick.com, 2012, July 1, 2012. Please click here. – Pub Memo, May 5, 2012. Please click here. – Award-Winning Author Charlene Wexler to Sign Books at Printers Row Lit Fest, PR Log, April 28, 2012. Please click here. – Book Signing Draws Crowd, ANB Communications, April 26, 2012. – Meet Authors Anne Nordhaus-Bike, Charlene Wexler at April 22 Book Signing at Woman Made Gallery, PR Log, March 2, 2012. Please click here. – Review of Murder on Skid Row by Rachelle Bowden, rachelleb.com, April 9, 2011. Please click here. – Short Story ‘Abracadabra Magic’ Published, PR Log, April 17, 2011. Please click here. – “’It Was on the Back Porch’ a short story for cat lovers, PR Log, March 20, 2011. Please click here. – New Novel Takes Readers Back to Chicago’s Skid Row, Yahoo! News, March 14, 2011. Please click here for PR Web. – Locally based novel wins Apex, Gazette, December 3, 2010. – Murder on Skid Row Wins International Award, Illinois Dental News, p. 6, August 2010. – New Mystery Novel Has Dentist As Hero, Dental Talk Radio: The Radio Blog for Dentists. – Charlene Wexler wins international Apex Award of Excellence from Communications Concepts for Murder on Skid Row, July 2010. Please click here. – News item about Charlene Wexler and Murder on Skid Row in Vision Magazine, p. 32, Spring/Summer 2010. – Novel About Dentist Wins Apex Award, Dentaltown, July 2, 2010. Please click here. – News item about Charlene Wexler and Murder on Skid Row in JUF News, July 1, 2010. Please click here. – News item in Illinois Alumni about Charlene Wexler and Murder on Skid Row in Illinois Alumni Magazine, May/June 2010. – Article on Murder on Skid Row, PRLog.org, May 8, 2010. Please click here. – Article on Murder on Skid Row, Word of Mouth, April 2010. – Interview with Charlene Wexler about Murder on Skid Row on Marilyn’s Musings website, April 6, 2010. Please click here. – Coverage of Charlene’s booksigning at Barnes and Noble, Deer Park, IL, Lake Zurich Courier, March 11, 2010. – Article on Murder on Skid Row, UIC News, Feb. 24, 2010. Please click here. – Hunt Club Book Club, Oct. 10, 2016, Huntley, IL. – Lake County AuthorFest 2016, July 30, 2016, Round Lake Beach, IL. Click here. -Beachside Authorfest, July 9, 2015, Lake Geneva, WI. -Geneva Lake Museum, Tuesdays @ Two series, June 16, 2015, Lake Geneva, WI. – University of Illinois at Chicago College of Dentistry at 100 A Legacy in Oral Biology Conference, Thursday, June 20, 2013, Chicago, IL. – Printers Row Lit Fest, Sunday, June 10, 2012, Chicago, IL. – Woman Made Gallery, Sunday, April 22, 2011, Chicago, IL. – Grand Geneva Resort, Saturday, Aug. 13, 2011, Lake Geneva, WI. – West Central Association meeting, Wednesday, April 13, 2011, Crowne Plaza Hotel, 733 W. Madison St., Chicago, IL. – Independent Dental Organization meeting, Tuesday, Oct. 19, 2010, Greek Islands Restaurant, 300 E. 22nd St., Lombard, IL. – Borders, Aug. 14, 2010, McHenry, IL. – Barnes and Noble, March 13, 2010, Deer Park, IL. – Charlene is available for media interviews. Media copies of all of Charlene’s books are available upon request. E-mail info@charlenewexler.com, or call William S. Bike at ANB Communications at (773) 229-0024.